The German Shepherd Dog is a breed of medium to large-sized working dog that originated in Germany. 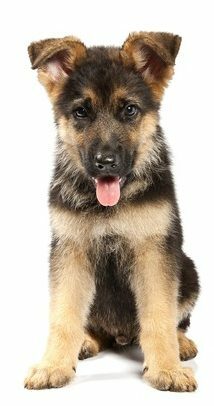 Because of their strength, intelligence, trainability, and obedience, German Shepherds around the world are often the preferred breed for many types of work, including disability assistance, search-and-rescue, police and military roles. German Shepherds were bred specifically for their intelligence, a trait for which they are now famous. The German Shepherd is the second-most popular breed of dog in the United States. Check out Buddy on our home page, TLC’s outstanding German Shepherd stud dog.